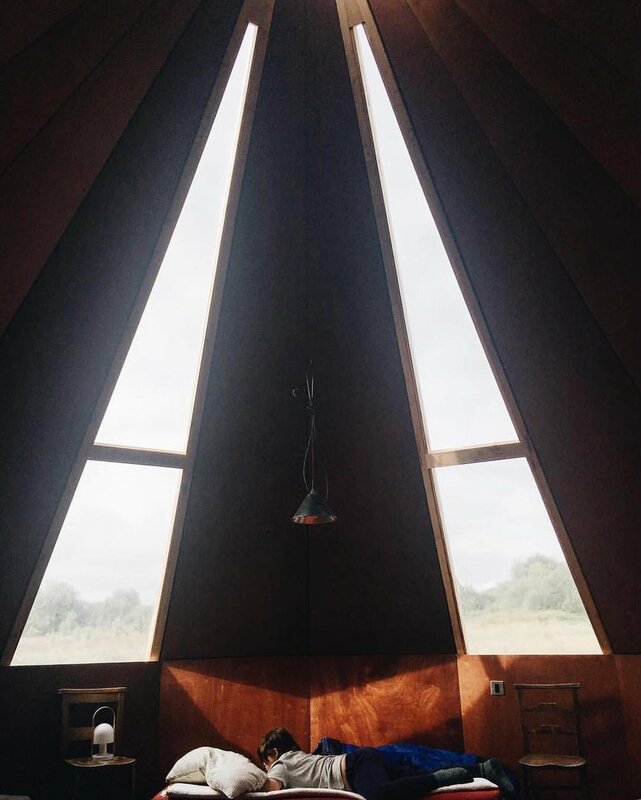 "To all at fforest, you have created a truly beautiful place to retreat to. 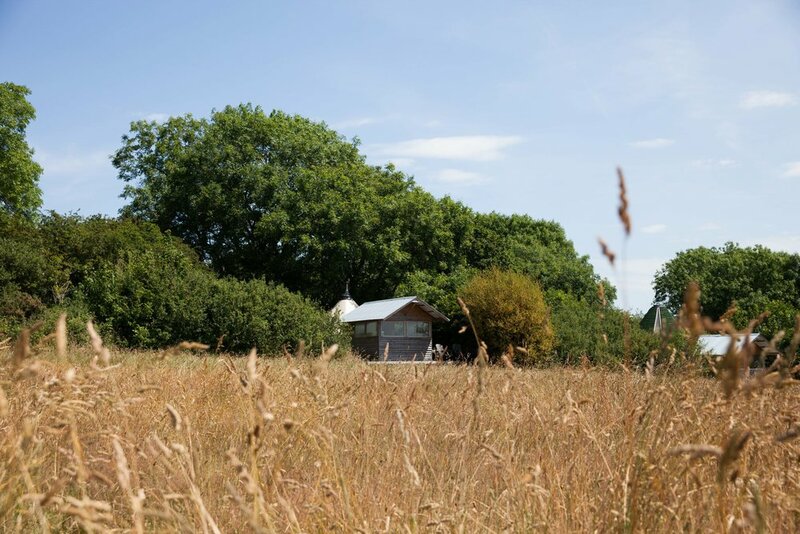 I doubt that anyone who visits once doesn’t return for more of the fforest experience"
The Kata cabins at fforest farm are all located along the field boundaries tucked into the trees, bushes and wildflowers. Each kata deck has plenty of room for lounging and offers uninterrupted views of the landscape, with plenty of space out front for children to run around in safety. It's our own design - a bespoke solid frame; a new canvas skin, better able to cope with the Welsh weather; a wood-burner or gas stove and overhead light dome, making it lighter, brighter and warmer, when it's needed; and soft sleeping mats so you sleep like a king (or queen) even under canvas. They have five futon camp beds encircling a wood-burning stove (or gas stove) with overhead LED lighting. The sleeping area docks straight onto a fully equipped, covered all-weather kitchen with plenty of outdoor space to dine and relax. We provide you with everything you need to cook and eat fantastic outdoor food, including catering quality two-burner gas hob and a bucket barbecue to add a little variety to your cooking options. The communal shower & toilet block are in the same field, so just a short stroll away. You will need to bring along your own bedding & towels. Sleeps up to 5 guests • Flowers on arrival • Outdoor decking with private outdoor kitchen & table seating • Wooden built-in or futon beds beds • Kettle and other kitchen essentials • Two ring gas hob • Barbecue (bring your own charcoal) •Water barrel • Wood-burning or Gas Stove•Cool box (we provide ice packs)•Dogs welcome.